The Wolf Sanctuary of Lititz Pennsylvania, secluded on 22 acres of natural woodland is a great way to spend a few hours. Over 40 rescued wolves have found there way here in a safe and protected environment. These wolves are lovingly cared for and it is your donations that make this effort possible, since they receive no government support. This is not an opportunity to miss when you are in Lancaster Pennsylvania. Located within a reasonable distance is the After Eight Bed & Breakfast, where your host Robert is more than pleased to give you more information and assist in planning your visit. Gregg Allman performs at the American Music Theater, January 9th, 2011. You will not want to miss this performance of one of the founding members of the Allman Brothers Band. Gregg's debut performance at the American Music Theater will be a night of rock, country and jazz, infused with his own personal style. 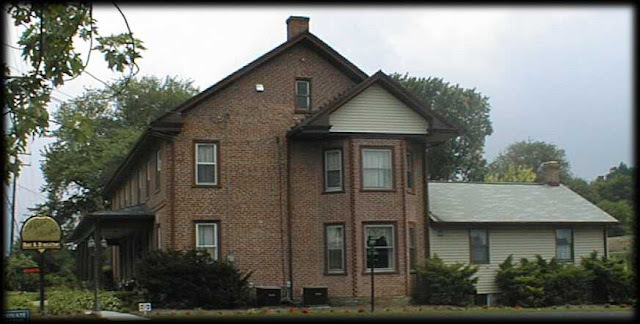 Located nearby is the After Eight Bed & Breakfast where your host Robert has many suggestions for ways to spend your time while visiting Lancaster Pennsylvania. After Eight Bed & Breakfast has scheduled a New Year's Weekend Extravaganza. Included in the weekend package are tickets to the Lancaster Symphonic Orchestra performing a semi staged version of My Fair Lady, at 7:30pm New Year's Eve. The evening is not over, at 11:00pm guests will be entertained and ring in the new year with a champagne toast at midnight while enjoy the comedy at Stitches Comedy Club. Guest will enjoy a breakfast New Year's morning and have the afternoon free, returning the After Eight Bed & Breakfast and participating in a New Year's Eve Masquerade Murder Mystery, which each guest taking on a character. This is a first time murder mystery event for the After Eight Bed & Breakfast and guests are already excited. Your host Robert is also anticipating a very enjoyable and entertaining weekend.